Savvy real estate investors know that buying vacation rentals isn't just about the price being right. If you want to know what you're getting into by buying a vacation rental property, read this and make the most out of your purchase. 42% of vacation homebuyers purchase their property with the goal of using it as a family retreat or for vacations. These findings provide a strong indication of the growing popularity of vacation homes in the past few years. Travelers are now more than willing to trade the usual resort or villa for the homely comfortable experience that's to be found in a vacation home. The shift in customer preferences has made buying a vacation rental property an attractive proposition. One should, however, make a few considerations before making the purchase. The ideal location for the property would be in a tourist destination that gets plenty of buzz. Buying a vacation home in such areas guarantees plenty of interest from travelers. 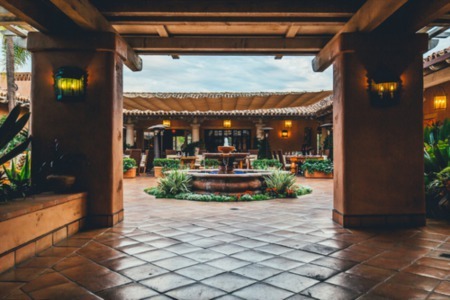 An example of a great property that's perfectly situated would be in Coronado, La Jolla, Del Mar, Solana Beach, Encinitas, or Carlsbad in San Diego. 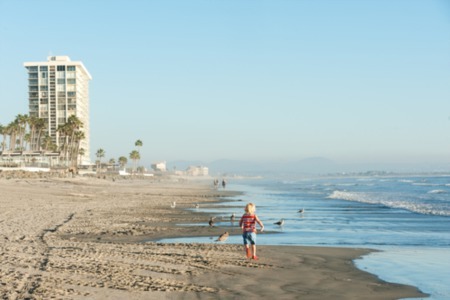 A popular beautiful serene destination with great weather like coastal San Diego is bound to draw attention. Income property or San Diego duplexes may also be a solution, you can lease out one side and keep the other for personal use. You should also do your best to find a property that is close to the major attractions that your chosen location is known for. A special consideration has to be made for its proximity to your residence. Bill Gassett offers advice for purchasing a lake home, Sharon Paxson offers nine tips for purchasing a waterfront home, Lynn Pineda writes about what to consider when investing in real estate and the big why, and Kyle Hiscock shares top tips for buying a vacation home. Is it close enough to allow to go back and forth and do necessary repairs within a day? If that isn't a concern for you then would you be comfortable hiring a caretaker? There are also individuals who aren't averse to owning a vacation rental property where they can stay at some points during the year. If you fall into this category, it would be advisable to choose a destination you've enjoyed before. The price of the home would be the place to start but one shouldn't get shocked when the expenses start piling up. Buying vacation rental properties that travelers can enjoy require that you invest in all necessary amenities. The investment has to be made regardless of whether you intend to rent out your home or use it exclusively. You will have to do a comprehensive research on the maintenance and management costs that pertain to the property. Evaluate maintenance costs in terms of repair and day-to-day cleaning. Management costs raise the question of whether you'll be close enough to handle all the day-to-day running as well as maintenance duties. Should you be too far from the location, one can always opt to hire a management company. The prudence of such a move would be reinforced if you believe they would do a better job of it. Management companies usually take a cut of the rental income in exchange for their services. Investing in vacation rental property by the oceanfront carries the downside of being in a high-risk flood zone. Thus, interested investors should make purchases knowing the implications of this fact. The implication being that they'll have to insure the property against flood damage. A property in a place with a higher risk of flooding than others will lead to higher insurance costs. It would also be prudent to get liability insurance given you'll be letting people stay at your house. Such a move will protect you in case of any injuries sustained on the property. The appeal of buying a vacation rental property to most people is the option to use it at some point in the year. A good proposition by all means but one that requires further consideration on the question of finance. If the plan is to use a mortgage to finance the purchase then you should pause and consider the consequences. What might seem like a good investment could lead to you incurring serious losses. If you plan to occupy the property in peak seasons that means that you lose out on good money. Do you have the finances to cover the mortgage payments during this period? If you don't have the capital then moving in could prove to be a costly error. You should ideally set aside money that would serve to cover the mortgage payments during the vacation. Buying a vacation rental property and handling all associated costs is only the first step in succeeding in the business. The next step is getting the word out and generating interest. The internet enables you to easily reach out to large audiences to advertise your vacation home. While there is an element of cost, it is certainly cheaper than traditional advertising methods. You also have the additional benefit of reaching niche audiences you wouldn't normally be exposed to. An effective strategy would be the use of an online influencer who reviews vacation homes. You might have to pay them and let them stay at your vacation home for free to get a feel of your property. The influencer would then introduce their online audience to your product afterward and help spread the word. An online influencer is a great asset to have in this day and age where social media buzz is critical to business success. You can also do your bit to spread awareness regarding your product. Set up social media pages and handles on popular social media sites. e.g. Facebook, Twitter, Instagram, and Pinterest. You could also set up a blog and link it to your social media pages for easy access. Scour Facebook and Pinterest for travel groups and vacation boards where you can introduce the people out there to your product. A prudent move would be to hire a social media manager for a limited time. The advantage of such a move is that its affordable and the rewards that accompany it are worth it. The social media manager will get the conversation going online regarding your property, among your target audience. He/she will also apply skills in SEO and marketing to generate web content that can drive traffic to your blog. All these efforts will translate into more interested customers. How Will You Take Bookings? You could begin by conducting some research to gauge the reaction of online buyers to price. Market research will inform you how many people would be interested in your property at a particular price. You should factor in the prevailing costs of similar properties in your area before you arrive at a set price. The next move will be settle on how you are going to take bookings. Most people nowadays do their online booking using credit cards. Thus, one of the first things you should do is set up with a merchant to accept payments. The social media manager can help you integrate it into your blog and create a booking form for it. The ever-changing technological landscape has significantly altered the travel industry over the past few years. The constant need for advancements means the industry isn't static and would never be. One should, therefore, make an effort to get a grasp of market trends before buying a vacation rental property. The information you need can be found in online forums, social media as well as vacation rental blogs. The insight gleaned from such forays will enable you to enter the scene and immediately keep pace with the current needs and expectations. One can also anticipate new trends and act accordingly. The privilege that accompanies renting out apartments and rental houses without any furnishings doesn't apply to vacation homes. Travelers who book vacation homes expect it to be ready to live in when they make their booking. An expectation that requires investors to spend extra money to furnish their homes before the customers arrive. Unless of course, you've bought a vacation home that comes already furnished. If this isn't the case with you then you should be ready to fork out some cash. You will have to set apart a special section in the budget that will cater to this very need. In addition to furnishings, you're going to have to provide the complete home experience. The list includes Television sets, cookware, soaps and towels, hangers, clothes et al. All the things you buy for use in the vacation home are subject to wear and tear and have to be replaced e.g. cookware. You should, therefore, be ready to incur the extra costs of maintenance over time. The responsibility to cover utility bills also falls on your doorstep. It will be your duty to ensure electricity, gas, water, and television services are always available. The more remote and exotic your property is located, the higher the costs will be. A sensible move would be settling on property that has that exotic quality to it but doesn't strain you when it comes to utility bills. 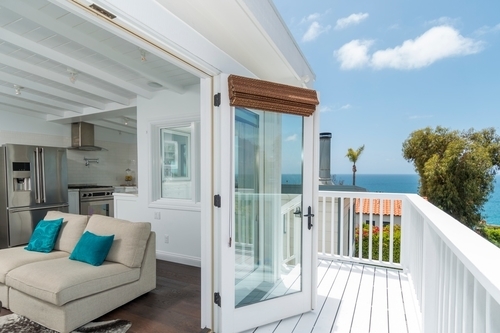 It's vital to know what you're getting yourself into when buying a vacation rental property. The word of home seller just doesn't cut it. You are going to have to conduct your own investigations to see if your evaluation matches that of the seller. The condition the property is in also has a bearing on cost so one should hire an appraiser to professionally do the assessment. If the facts on the ground back up those of the seller then you'll have a viable purchase in your hands. The next step will be to seek the advice of a contractor concerning any damages discovered by the appraiser. He/she will inform you how much money you need to do repairs and restore the property to move-in condition. The option of buying a vacation home at a low price might be a tempting one but it won't necessarily be the best one. The problem with fixer-uppers is you can never quite know how much money you'll need to restore it. A budget that seemed sufficient could end up only being a fraction of the capital you need. The need for repairs also brings up the aspect of time constraints. An investor would typically want their vacation home to be available for use as soon as possible. The need to get a return on investment or to service loans means that time is of the essence. However, if time could be wasted in never-ending repairs then it would be better to completely ignore fixer-uppers. The earnings from vacation rental property aren't so high that taxation would cause a serious dent. A consequence of the expenses incurred in the day-to-day running of the property. Taxation is, nevertheless, here to stay considering rental income is taxable. The practice of renting your vacation home for periods less than six months still invites lodging taxes. You will be regarded as an inn-keeper and will be expected to pay taxes all year round. You will also be expected to report this income on your federal income as a hotel or a resort would. The rules and guidelines with regard to state tax vary from one state to another. The IRS, on the other hand, stipulates the rules concerning taxation of vacation homes on a national scale. Do You Know What the Rules Are? Take the time to figure out what rules apply in the location you're interested in to avoid future conflicts. Information on the rules can be found from the local authorities as well as from the homeowner associations in the area. The rules you have to abide by may have to do with the type of houses that can be used as rental property. Should you hastily buy a property without prior inquiries you might end up regretting it. Learning how to make money on vacation rental property through sensible and informed decision making takes time and effort. Taking the time to get as much information you can from experts in the field will help improve your understanding of the industry. You'll also be able to identify high-quality properties when you see them, an example being condos in La Jolla. Buying a vacation rental property of high quality has never been this convenient. Give our properties a look today and see whether they match up to your standards. You will not be disappointed.